I am interested in all aspects of polyhedral, tropical and algorithmic geometry, and this includes topics such as optimization and combinatorial topology. See here for an overview of ongoing and past projects. In addition I like to design and apply mathematical software,	the main project being polymake. I am currently serving as Deputy Director of our institute. Open position for PhD student in joint MATH+ project with Max Klimm. TES: Network Games, Tropical Geometry and Quantum Communication. 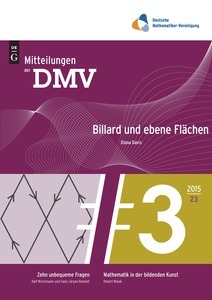 A text on the mathematical background, Mitteilungen der DMV (2018) [in German]. I am (still) working on a forthcoming book "Essentials of Tropical Combinatorics". Take a look at the web page with a working draft and send comments. 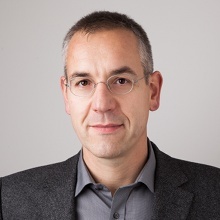 (with Thorsten Theobald): Polyhedral and Algebraic Methods in Computational Geometry, Springer 2013, translated and revised from Algorithmische Geometrie [German], Vieweg 2008. Optimization and Tropical Geometry, 2+2+2 (course + project + seminar). This is a BMS Advanced Course which is part of the Thematic Einstein Semester Network Games, Tropical Geometry and Quantum Communication. The research seminar on discrete and convex geometry takes place each Wednesday at 16:30. Here are some general remarks concerning student theses (in German). Monomial tropical cones for multicriteria optimization, Workshop on Combinatorics, polytopes, and complexity, Institut Mittag-Leffler, 20 Feb 2018. Tropical computations in polymake, Tropical Geometry, Amoebas and Polytopes, Institut Mittag-Leffler, 31 Jan 2018.